EARLY '70S RADIO: Fire and Rain and the "James Taylor Controversy"
Songs, stations and tangents. 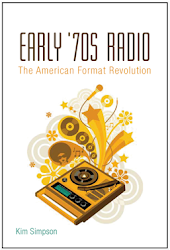 The companion blog for Early '70s Radio: The American Format Revolution, a book by Kim Simpson (Continuum, 2011). Fire and Rain and the "James Taylor Controversy"
Before I talked about my Early ‘70s Radio book as part of the “Views and Brews” series at the Cactus Café last October, the notion of a “James Taylor controversy” managed to work its way into the promotional language of Austin's KUT, who sponsored the event. The phrase turned out to be a pretty crafty attention-getter, prompting a flurry of phone calls and emails. What could possibly be controversial about James Taylor?, people wondered. Why haven’t I ever heard about this? Taylor’s non-controversial persona was the controversy. Many among those who have stretched out in JT's comfortable, musical hammock have likely never considered his powers to alienate those whose ears habitually crave the slightest dose of aggression and confrontation. While his immense popularity and poster boy status for what Life magazine called the “un-radical young” ran counter to the musical experimentation and political activism that characterized the late sixties, it was the vehemently apolitical early seventies heavy rock crowd that hated him loudest. Bangs’s notorious words, though, have overshadowed how different Taylor seemed to the sixties generation, for whom the term "singer-songwriter" did not yet exist. He was different enough to grace the cover of Time magazine as a symbol of the “new rock.” At the Cactus that night, KUT’s Jay Trachtenberg talked about a seemingly nationwide sigh of exhaustion one could sense in post-Kent State America. To the irritation of musical adventurers like Jay, the mellow sounds of Sweet Baby James and its ilk oozed out of college dorm rooms all at once. With his soothing musicality offset by a history of mental illness and drug abuse, Taylor embodied a widespread, broken-hearted pause for personal reflection. David Browne’s Fire and Rain, which came out on Da Capo the same month as my Early ‘70s Radio, captures this aspect of Taylor’s appeal. Browne zeroes in on the musical and cultural interlacings of the Beatles, Simon and Garfunkel, Crosby, Stills, Nash and Young, and James Taylor as vivid signposts for changing times. The book's overarching thread is the dismantling of a sixties “get together” ethos at the seemingly irresistible onset of the “me generation,” so called by Tom Wolfe only because it was true. Browne supports this “lost story of 1970” with enough behind-the-music episodes to satisfy widely-read rock historians and dabblers alike: Paul Simon teaching songwriting courses at New York University while his increasingly AWOL partner racks up screen credits as “Arthur Garfunkel”; Simon’s first appearance as a solo entity in front of an apathetic crowd at Shea Stadium; Stephen Stills and Graham Nash fracturing the chances for CSNY’s survival by competing for Rita Coolidge; the touchy set list politics underneath the concerts CSNY audiences otherwise perceived as being “from the hip”; James Taylor on the set of Two Lane Blacktop, wherein we learn that the film is one of JT’s edgiest endeavors because he was extremely miserable; and narratives that depict all four Beatles as being alternately giddy and frightened about their forthcoming split. What this new mass impulse for personal reflection meant for pop music heavyweights like the Beatles, and "American Beatles" candidates like Simon and Garfunkel and Crosby, Stills, Nash and Young, was that it was time to go solo. For John Lennon this meant naked honesty, while for Paul McCartney it was home studio dabbling. The personal statement, however a given artist saw fit to express it, was the important part. As baffling as Dylan's Self Portrait might have seemed to many a listener, therefore, it did march in step with the times. In Early ‘70s Radio, I address this new pop music climate in terms of “feminization,” and now that I've just finished Fire and Rain, I suggest that one might do well to follow up that book with Sheila Weller’s Girls Like Us for a look at the iconic early seventies female singer-songwriters Carole King, Joni Mitchell, and Carly Simon. James Taylor, who was in close platonic and/or romantic relationships with all three, is the perfect bridge between the two books, and Browne, after all (who titled his book after Taylor's most famous song), zooms in on JT as the book’s closing image. “For many, there was no better way to wind down from one year, one decade, and one moment, than with James Taylor,” Browne writes. And this brings us back to the provocative notion of a "James Taylor controversy": All of that early seventies clamoring for a "new Beatles" or a "new Dylan" was entirely misguided because, like it or not, James Taylor - according to the revamped standards of a new decade - was both. Order your copy of Early '70s Radio at BookPeople, Amazon or directly from Bloomsbury. "Kim Simpson does a superb job analyzing the manifold factors that contributed to the radio format revolution while advancing the reader’s understanding of a transformative period in American culture. Ultimately, Simpson’s astute assessment of radio’s second heyday adds richly to the ever-growing canon of media studies. Early '70s Radio is must reading for anyone interested in the unique role specialized audio programming played in an era of historic social change." "All of the men and women, though the latter were few in music radio for many years, took radio programming seriously not only as a career, but also with passion for its viability. This included the disc jockey, the program director, and the general manager as more and more of them graduated from programming into management. Thus, I’m pleased to read this wonderful, compelling book by Kim Simpson. He treats with respect what all of us in the 60s and 70s took seriously. It was our life! And he employs penetrating wisdom and astonishing perception to correlate music with the cultural mores of our times and depict what really was and why. Great book!" "Too often we separate the agendas contained in business plans from the decisions of daily life. Kim Simpson’s Early ‘70s Radio reunites the items found on playlists with the passions and polemics that infused a complicated decade. His skilful scholarship and attention to detail clarify that what we listen to and how we lead our lives do not march to separate beats, for our actions and our aesthetic preferences bear subtle and significant harmonies." 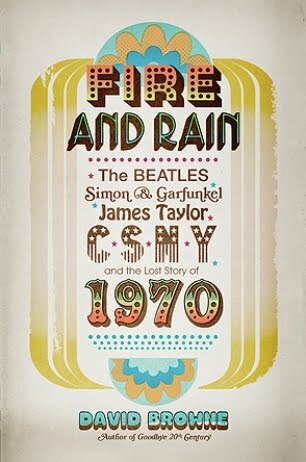 –– David Sanjek, Professor of Music Director, Salford Music Research Centre University of Salford, U.K.
"Early '70s Radio is a fast-paced romp through the formatting revolution that changed the ways pop music continues to be sliced and diced. Surprises pop off every page. Examining everything from monster hits to obscure and often-hilarious novelty tunes, Kim Simpson shows how Top 40 splintered into middle of the road soft rock, album-oriented hard rock, crossover soul and disco, and country pop. Each format promised to serve up a distinct listening demographic to hungry advertisers. Yet Simpson uncovers fascinating commonalities across the dial—including the increasing desire of stations to attract women instead of men—that fundamentally changed the sound of pop music. And who knew there were so many songs featuring children in the era? If you ever wondered about the roots of the Miley Cyrus/Justin Beiber phenomenon or how Glee learned to appeal to parents and their kids at the same time, Early '70s Radio delivers. I’ll never listen to 'Yummy Yummy Yummy' or 'Rubber Duckie' the same way again." "Music historians are only now discovering what most everybody in the 1970s already knew: commercial radio formats really really mattered. Looking at the five key strands (Top 40, MOR, rock, R&B, and country), Kim Simpson surveys a moment when identity politics and counterculture were becoming niche marketing and new kinds of mainstreams. You can't explain what happened to American popular music after the 1960s without understanding these processes, and Simpson provides an able, accessible guide through a daunting range of sounds and contexts."